The Canada C3 expedition and Canada 150 as a whole provide Canadian Kindergarten to Grade 12 learners an inspiring opportunity to foster a deep(er) understanding of Canada, its diverse peoples, its coastal places, and the past, present and future of our country. Classrooms connecting virtually in conversation with one another, led by passionate teachers or by strategic programs like Connected North is not a new idea. 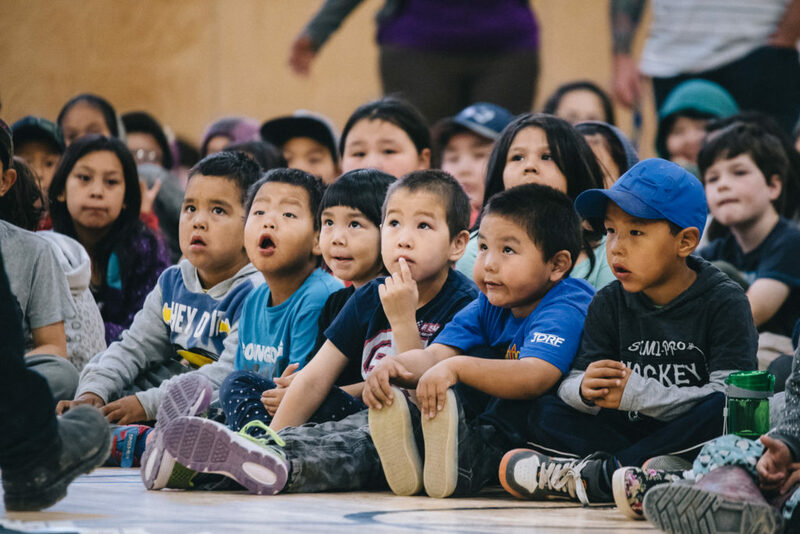 However, we want Canada C3 to inspire more teachers and classrooms across Canada to connect with one another, to engage in open dialogue and to build better relationships and understanding from north to south, east to west, coastal to interior, urban to rural and/or Indigenous to non-Indigenous. Teachers can join the Teachers’ Canada C3 Facebook group. Educators from every province and territory across Canada belong to this group! Here you can meet other teachers from across the country who are building, or want to build, connections between each other, their students and their communities. We encourage you to dialogue with teachers in parts of the country that interest you or your students and create a plan that suits you best. There is no one right approach to building relationships! Consider your learning goals, available technology infrastructure and student needs when deciding how to plan your conversations. Skype, Google Hangouts, Facebook Video Chat and other video-conferencing technologies can be used to connect your classroom with another. You can decide whether you want to converse with many other classrooms or just one. We are also keen to hear about your experience connecting with another classroom. Please take just five minutes (we promise!) to fill out Connecting Canadian Classrooms Google Form. Send us a photo of your Connecting Canadian Classrooms experience at education@CanadaC3.ca. Not quite sure what to talk about? Before your virtual conversation, consider using our Teacher Guide to prepare your class for what to expect and to guide your students’ conversation in relation to the Canada C3 expedition themes of Diversity and Inclusion, Reconciliation, Youth Engagement and the Environment. Starting these conversations may be challenging, but we believe they are well worth it. When all communities of learners enter into dialogue with open hearts and open minds, amazing learning can happen! We support the 4Rs Framework for Cross-Cultural Dialogue and encourage you to access this resource if you are not already familiar with it. A beautiful example of this type of work is Rencontre des Nordicités (Northern Encounters). Nancy Breton is a teacher in Québec’s Commission scolaire des Laurentides who has created an immersive North-South exchange program for her students to connect with peers in Quaqtaq, Nunavik (Inuit Region in Northern Québec). Read more about the Rencontre des Nordicités program that Nancy designed here and here, and watch the inspiring video below.